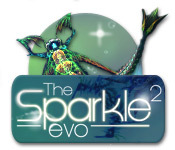 Rated 5 out of 5 by moonflower994 from Evolve! I tried this game and At first I was alittle lost , but once i got the hang of it I loved it! 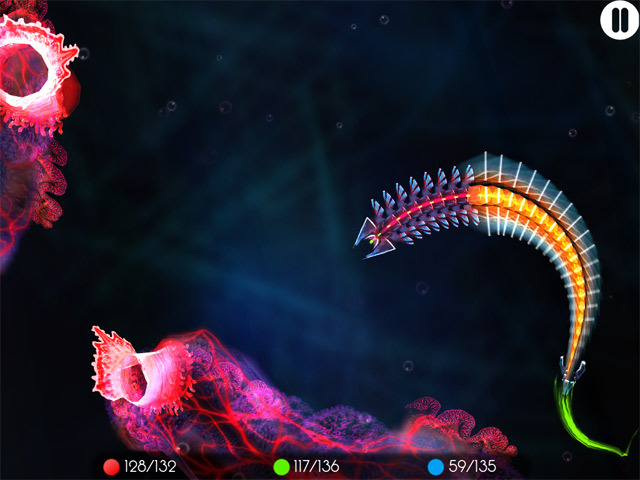 Its a game like feeding frenzy but with a cool scientific angle. Very Cosmic! Also the music is beautiful and relaxing. Great game ! Rated 5 out of 5 by lunawolf1313 from Love This! At first I was a little frustrated with the controls but once I caught on it was easy as pie! The music is soothing. and watching your little guy change as you munch away on different colors and amounts of colors is fun. And just think...you can do so many color combinations to do different critters to change his DNA! Later in the game there's a lab to show you more info on it.This game is easy, relaxing and colorful. Love the corals! Maybe one day they'll come out with a game even more complex to play because this is fun. Rated 5 out of 5 by schubert2 from Try It, You Might Like It!!! I really enjoy games that are different and unusual. Once you figure out the game mechanics, this game really grows on you. Before playing, click on the little "i" in the upper left corner of the screen. The 3 tabs will explain controls and basic objectives #mainly to grow as big as you can# #and exit the game by clicking on the exit sign in the bottom left of the screen#. Once into the game, follow the expanding circles to find your next meal. If you can't find anything to eat, move up or down #moving the mouse wheel# to explore another depth. When you have completely eaten your quota of a color # kept track of at the bottom of the screen#, you may advance to the next stage. The background music is eerie and perfect for the primordial sea. 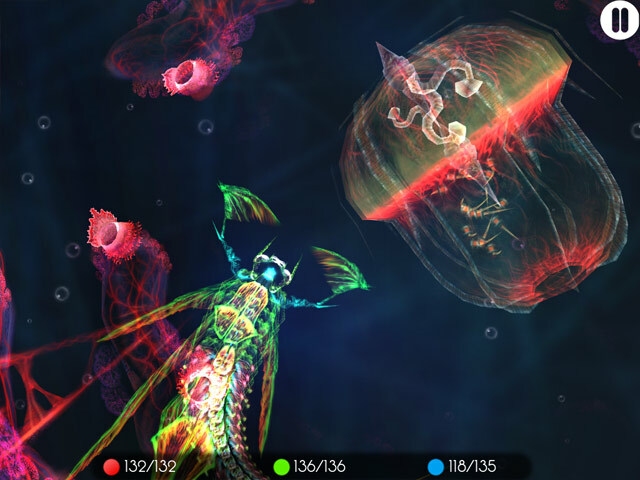 I absolutely love the otherwordly, colorful graphics. It takes a little while to get used to moving and the kelp does have to be navigated, but it does get much easier with practice. I have only played the demo, but it is a definite buy for me. I have yet to find the "Genlab" where you can monitor your evolution and I'm not sure do what else #can anybody help here?#. Overall this is a wonderful change of pace from the typical Big Fish style of game. Highly recommend you give it a try. Rated 4 out of 5 by Kildara from Enthralling I really enjoyed this game, which is surprising since I almost always choose hidden object games. But I was looking for something different and this filled the bill. Yes, it's fairly simple, but the music is pleasant and the game is highly interactive. Occasionally, the directional signals seemed to be a bit sluggish, but it didn't really detract from the gameplay and I suspect that the sluggishness might actually have been part of the game - a challenge to overcome. I actually made it through a fair number of levels in the first hour (end of trial and temporary end of play for me, but I'll be back). I thought the graphics were beautiful! Rated 4 out of 5 by chi_love from Addictive and Unique Time Absorber! Interesting, seemingly endless game of sea creature that you evolve by eating other creatures. The evolution is in "your" creature and everything around you, transforming into ever more beautiful and intricate shapes. I played the demo and would have purchased if it hadn't activated my tendonitis. This is one addictive game! Rated 3 out of 5 by pennmom36 from SUPRISINGLY ADDICTIVE! It took me awhile to figure out the controls such as zooming in and out, but once I did I somehow became addicted to try to find more red blobs to eat. It's a simple game, a little on the stupid side, the goal is to go from a single cell to evolve according to what you eat, red for aggresive meat eater, green for a passive herbavore, or blue for somewhere inbetween. Give it a try, but use the tutorial feature. Rated 3 out of 5 by bajacalla from Screensaver This is a visually appealing game, but I'm using the word "game" very loosely. The instructions are relatively simple, if not intuitive, but they're pretty sketchy besides "up" and "down" and directional. You can watch your little creature change appearance by eating other organisms, but that's all I was able to determine was the point of the game after playing half the demo. 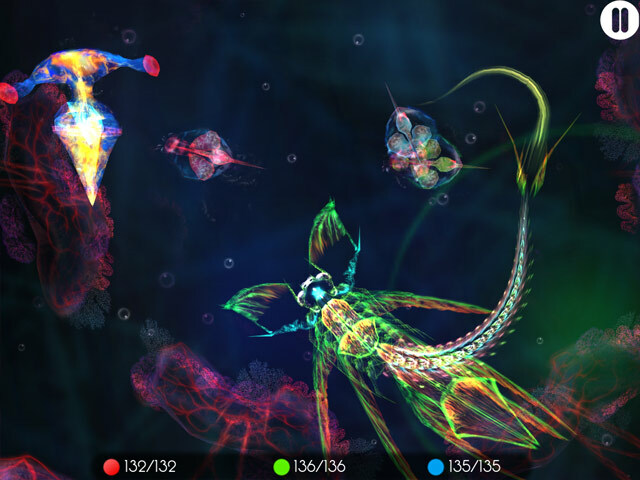 For those of us old enough to remember when screensavers were a really big deal, this game reminded me of the aquarium one, where you could choose the number and kinds of fish, change the aquarium background, and just sit and watch the complete randomness of the whole thing. This game reminds me of that screensaver. Beyond that, I really didn't see much point of it, but maybe I've missed something? Rated 1 out of 5 by Iceshark39 from The Sparkle...Fizzles While admittedly, graphically stunning, the game play itself left me dizzy with the motion that is set with every move of the mouse. Sadly, I think this would make a much more interesting screen saver than actual game.